Midwestern Gothic – A Literary Journal » Blog Archive » Issue 14 is here! 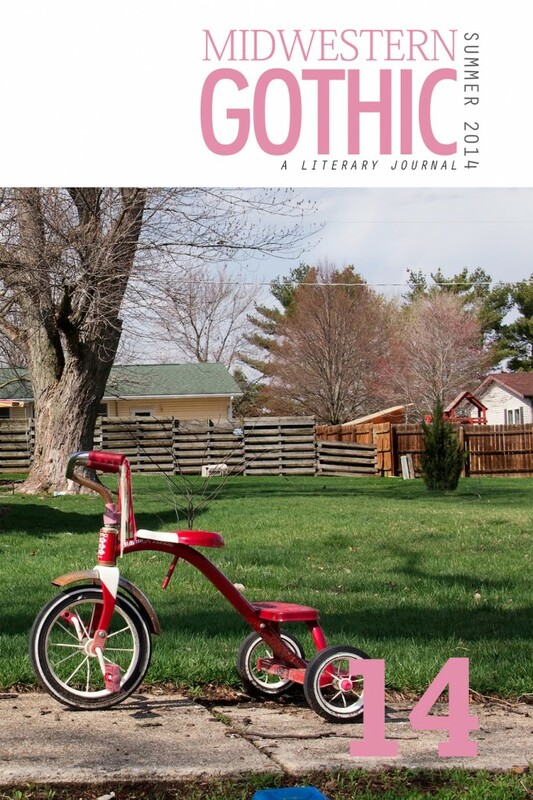 Midwestern Gothic Issue 14 (Summer 2014) is here! Grab some shade and an afternoon to spend with new fiction and poetry from the Midwest’s finest literary voices. Featuring work from Ron A. Austin, Dane Bahr, Boyd Bauman, Monica Berlin, Eric Boyd, John Counts, Kaitlin Dyer, Cal Freeman, Gabe Herron, Michael Hill, Sarah Howard, Amorek Huey, Michael Lauchlan, Mark Maire, Beth Marzoni, David McGlynn, Rebecca McKanna, E. Ce Miller, Brian D. Morrison, Jessie Ann Foley, Leslie Pietrzyk, Ellie Rogers, Chuck Rybak, Samuel Sayler, Meri Sheffler, Mark Patrick Spencer, Ashley Swanson, Fritz Swanson, Keith Taylor, Jeff Vande Zande, Dennis Vanvick, Wendy Vardaman, Jim Warner, J. Weintraub, and Stephany Wilkes.